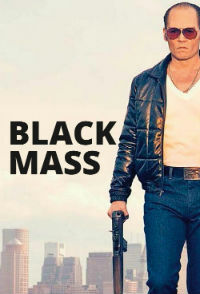 Black Mass is the true story of James “Whitey” Bulger, the infamous gangster from Boston who was on the FBI Ten Most Wanted Fugitives list for 12 years. Using fictional confessions from his most loyal henchman as cues, we watch Bulger rise from small-time crook turned local mob boss to drug trafficker and international arms dealer. At the centre of it all is his relationship with childhood friend turned FBI agent John Connolly, who together formed an “alliance” that lasted over than 20 years. None of this is exactly news to the world, as the film is based on a book of the same name. Many of the details regarding the case were also covered in the 2014 documentary Whitey: United States of America v. James J. Bulger – not to mention the he inspired the likes of Jack Nicholson’s Frank Costello in The Departed. Let’s not beat around the bush, even though there’s an impressive cast involved, this is Johnny Depp’s vehicle. It feels like the entire piece was created for him to prove he’s still relevant to non-Burton fans, and what he creates is nothing short of terrifying (in a good way). Depp makes his presence felt solely by utilising his voice, as opposed to wearing colourful costumes and flapping his arms around as usual. He’s still wearing a lot of makeup, but for completely different effect. Our boy Joel Edgerton is as good as ever as Connolly. He pulls off a believable Boston accent and more than holds his own against Depp, Benedict Cumberbatch and Kevin Bacon. The remainder of the cast could fit into two categories: big-name actors who are fairly forgettable, or little-known stars who are truly memorable. It’s hard to tell whether Adam Scott had some scenes cut or if he really just didn’t have much else to do, which could be argued for Bacon too. Disappointingly Cumberbatch and Peter Sarsgaard are fairly underutilised as well. At the other end of the spectrum, Jesse Plemons and Corey Stoll are both gripping to watch, but its poor Rory Cochrane who is most undervalued. He steals every scene he’s in as the emotionless hit man Steve Flemmi, even next to Depp, yet he doesn’t crack a mention on the poster. Now a little older and a lot heavier, he’s almost unrecognisable as the guy who played Slater from Dazed & Confused or Lucas in Empire Records. The few women in this film are also totally underutilised too, with Dakota Johnson, Julianne Nicholson and Juno Temple in very brief roles. They do well with what they have but it feels they’re simply added to provide Depp with more emotional scenes. Director Scott Cooper has under-utilised this talented ensemble to make way for more Depp, and the whole film suffers as a result. Still, the performance is pretty damn impressive.